Microsoft is keen to exit its online Search business i.e. Bing. Despite having spent billions to improve Bing, Microsoft still doesn’t seem to have been able to find a way to turn Bing into a profitable venture. In March 2012, Google’s market share stood unchanged Â at 66.4 % with a marginal upward bias Y-O-Y, while Microsoft was in second place with 15.3% of the market of Internet searches in the United States up from 11.8% in Nov 2010,Â according to ComScore. These days, evenÂ Yahoo is powered byÂ Bing, which constituted forÂ around 13.7%Â of the total search market during March 2012. So, Bing’s actual market shareÂ is a healthy 29%. Despite this, Microsoft has continued to lose money on Bing, including more than $2.6 billion in operating losses for its online division during its last fiscal year. This translates to a whopping 7-percentage-pointÂ hit to operating margin. Microsoft is already under pressure from Stake holders and investors who are not to keen to see Microsoft continuing with Bing. Facebook is not public yet, it has just updated its IPOÂ prospectus; Facebook’s advertising revenues are already decelerating. Facebook needs to find out an alternate way to ensure that the revenues don’t slow down. Google’s Advertisement strategy is perfect. The advertisements are going to be for those products for which a search is performed. 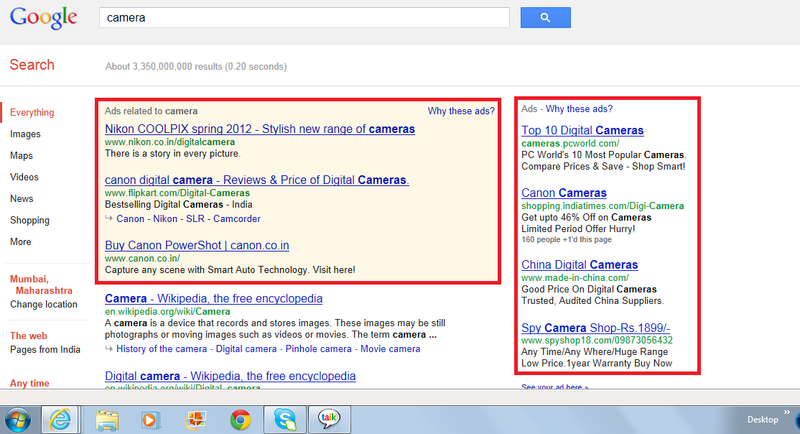 So when I search for ‘Camera’ I get advertisements only for Camera and not for a pair of Shoes. Compare this to Facebook’s advertisement strategy. I am clueless as to why I am finding an advertisement from Citi as I don’t intend to take a loan from Citi. Equally surprising is the ad from BMW.Â Not that I don’t like BMW cars, but I don’t have any plans to buy a BMW for the moment. Facebook targets users by combining user’s browsing habits, ‘likes’ to the pages with demographic information such as gender, age and occupation shared on user’s profiles. Facebook’s advertisement strategy clearly is old-fashioned. Google on the other hand combines customer’s Geographic information to ensure that the advertisements are relevant to the users. 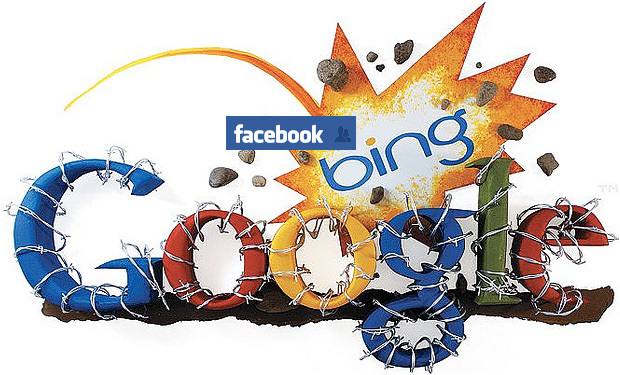 How selling of Bing would turn into a win-win situation for both Microsoft and Facebook? Bing would help Facebook toÂ diversifyÂ into the Search business which may eventually become an alternate means of revenue for Facebook in the longer run. While Microsoft is not keen on holding on to Bing for long, they want to ensure that they hand over the reigns of Bing to a company specialized in the Online space so that they pose some serious problems for Google. Selling off Bing would help also help Microsoft concentrate on its core business. Furthermore, it would help strengthen its ties with Microsoft. Whether Facebook eventually takes over Bing, is something subjective. While Zuckerberg may have declined a previous offer to buy Bing, he may want to re-consider his decision if at all there is another offer from Microsoft. This entry was posted in Facebook, Google, Internet Services, Microsoft, Search Engine Optimization, Searh Engine Marketing, Technology and tagged Facebook google advertising strategy help bing, facebook microsoft bing acquire, facebook microsoft bing buy what happens, selling bing win win microsoft facebook how. Bookmark the permalink.